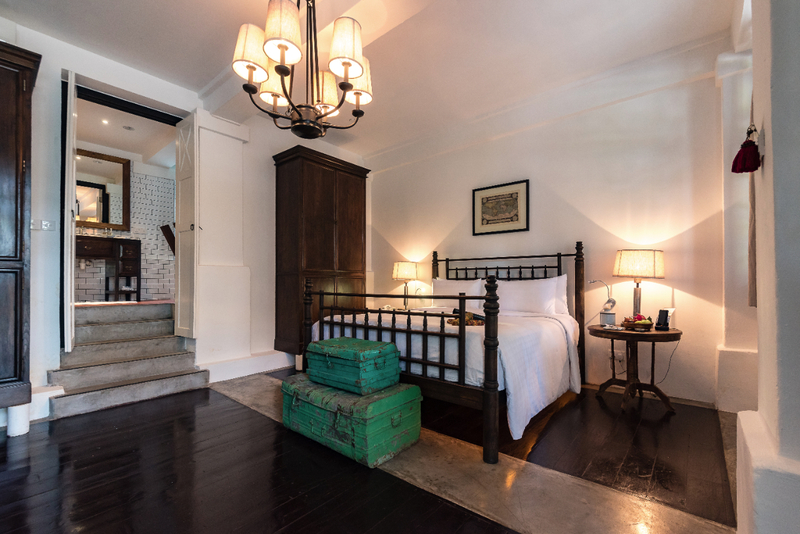 Housed in a 1920 black and white colonial garrison, the 20-room boutique hotel was designed to be reflective of its heritage and history. Constituting an important legacy of Singapore's colonial past, black and white buildings in Singapore encapsulate the quintessence of that bygone era, recalling charmed lives of elegance and poise. An amalgam of local and Western influences, black and white houses in Singapore and today both an architectural treasure and an important part of Singapore's heritage. The 20-room boutique hotel was meticulously restored over a period of three years. Settled in the 22-hectare Labrador Nature Reserve, once an enclave of the British military, the area is now a treasure trove waiting to be explored. A tranquil oasis in the city, Villa Samadhi Singapore is just ten minutes away from the central business district and the famed Marina Bay area. Furnished in harmony with its colonial surroundings, each of the hotel's well-appointed rooms seamlessly fuses modernity with history, offering lofty original ceilings that hover over teak furnishings that exude old colonial charm, with each room a paragon of tranquility, charm and nostalgia. From custom-created furniture to unique décor, the nuances in each room ensures that every retreat is unique. Each guest room offers a king-sized bed and individually-controlled air conditioning for optimum comfort. Modern conveniences include cable television, wireless internet connectivity and Bluetooth-enabled speakers, while spacious bathrooms feature a rain shower, wooden baths and plunge pools. Kindly note that while Villa Samadhi allow infants, young children and children below the age of 16 years old. In the interest of safety and quiet enjoyment, parents of young children should take note that, due to the location and design as well as the profile of guests, strict supervision of children's at the property is necessary.